Your pet’s comfort and happiness are based upon a multitude of factors. Pet owners commonly focus on how to enrich their pet’s lives by making sure they have stimulation and entertainment. From making sure they are fed properly and walked regularly to arranging for a sitter when you’re not around so they won’t get lonely. We buy special treats to reward our pets when they’ve done good and do everything we can to ensure they are living the best life possible. However, it is sometimes easy to forget that the material items and necessities such as food and exercise aren’t the only things that our pets need. It is the simple things that affect our pets greatly even though pet owners give such great effort to care for them. Items that we may lose sight of are allergies that could affect the well-being and comfort of your pet. Pet’s such as cats and dogs are both affected by common allergens that may go unnoticed by owners. These allergies can lead to irritability of the skin, digestive system, and joints. Pets can experience dermatitis, hair loss, illness, lack of appetite and many common symptoms that you may experience as a person. Our pets can suffer from many of the same allergens that make humans miserable such as pollen, cedar, foods, fleas, etc. Your pet can also be allergic to you, the owner, or other household pets. Just like some people are allergic to cats and dogs due to their dander, pets can be allergic to their owners. Cats may experience the same symptoms as dogs such as sneezing, running noses, loss of hair, itching, etc. The most common symptom of allergies among cats is miliary dermatitis, which can be identified as scabs or missing hair that is typically found around the head and neck area. It is important for pet owners to observe their pet’s health year-round and acknowledge any symptoms that they may be experiencing and get them treated to indicate the type of allergy your pet is suffering from such as environmental, seasonal, or food. 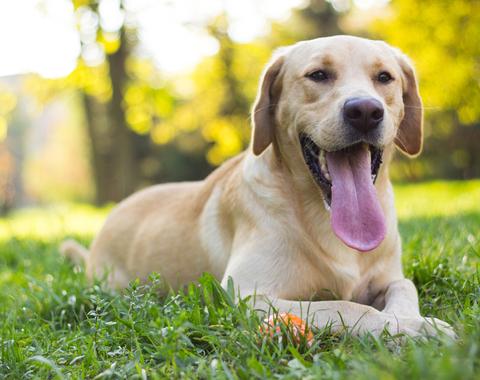 Your pet can be treated just like humans for allergens -- both seasonal and non-seasonal -- to pinpoint and treat them. Commonly tested allergies are dust mites, human dander, feathers, wool and pollens. Allergy shots and oral drops that contain small amounts of the problem allergens are available for your pet for treatment. ● Change your heating and air-conditioner filters. Filters that have not been changed in some time will begin to affect the air around you and your pet causing allergies. ● Clean regularly. Dusting, cleaning the floors, blankets, etc. will benefit both you and your pet. This includes curtains, beddings, or anywhere you can imagine there might be an accumulation of dust and allergens. ● Be mindful. Be mindful of things like hair spray, perfume, candles, fragrances, or anything that you can smell or by which you can be affected. ● No smoking. If you smoke, consider not smoking in the house or with your animals present. Even if you smoke outside and come back in, remember that you probably still smell like smoke and this may cause issues with dogs and cats just like humans. ● Keep an allergy journal. By keeping track of your pets symptoms you will be able to recognize when the issue arises and alert your vet. ● Routine Checkups. Just like humans, we require routine checkups just to make sure that we are doing okay and our health is in good shape. Taking your pet to the vet for a checkup will be beneficial in keeping them healthy.